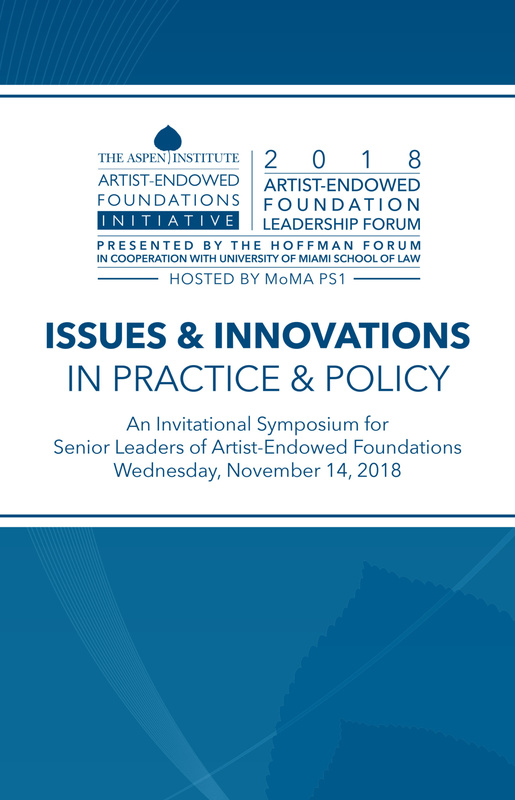 The Aspen Institute Artist-Endowed Foundations Initiative/AEFI announces the release of a new publication featuring groundbreaking findings about the emerging field of private foundations created in the US by visual artists. 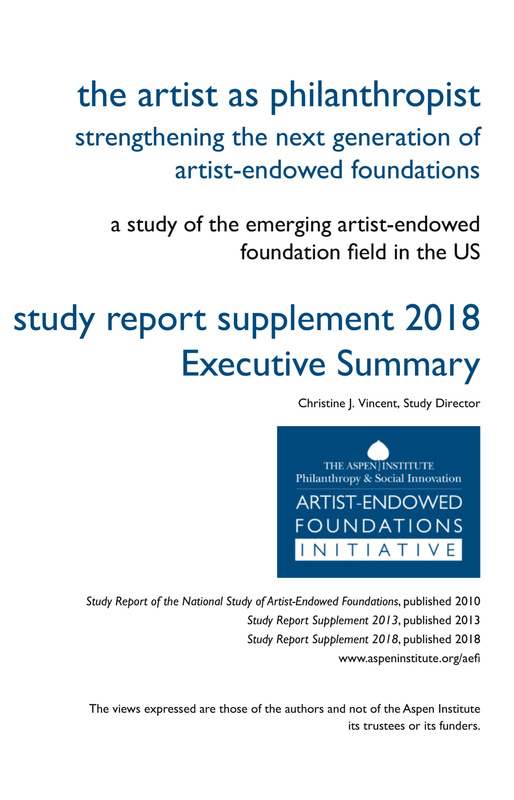 Study Report Supplement 2018 presents updated findings of the National Study of Artist-Endowed Foundations, AEFI’s flagship research program that tracks the field’s development at five-year intervals. 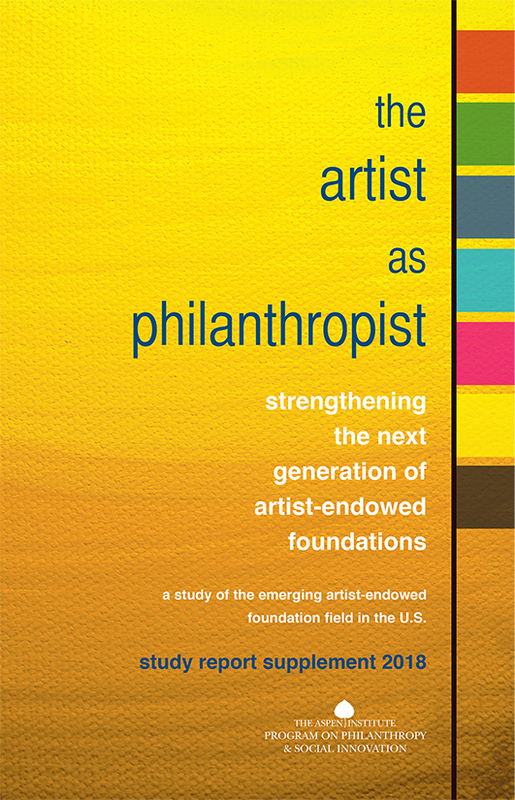 The Study’s Initial findings were released in 2010 as the two-volume Study Report of the National Study of Artist-Endowed Foundations, and updated subsequently in Study Report Supplement 2013. Since then, the artist-endowed foundation field has continued to grow apace. Drawing on new data, Study Report Supplement 2018 details this growth, analyzes factors shaping it, and explores ramifications for foundation practice. Appendices list identified foundations and present data profiles of those reporting assets of $1 million or more. 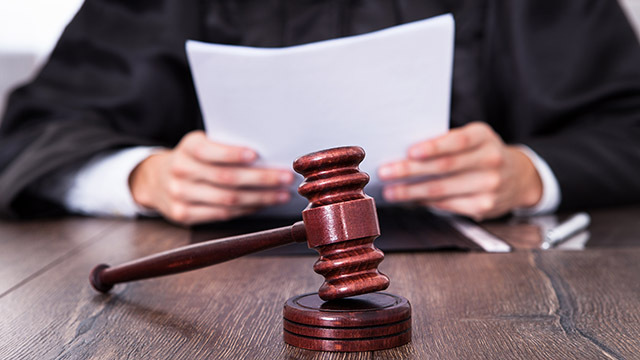 A new paper added to the collected briefing papers commissioned for the Study to address rising topics that will influence the field’s development examines a key issue that will impact foundation practice—disclaiming artists’ estate assets. Additions to a descriptive survey summarizing estate planning literature pertaining to visual artists highlight three new publications. 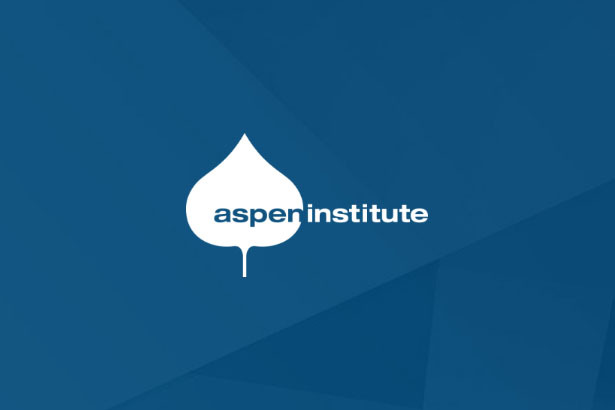 The Aspen Institute Artist-Endowed Foundations Initiative/AEFI conducts research, publication, and education programs to strengthen the emerging artist-endowed foundation field’s charitable impact in cultural philanthropy and art stewardship.